This is a simple to build model that has an interior and a wide selection of graphics. The model is made from steel-reinforced resin. The roof is removable there is flooring and counter inside. 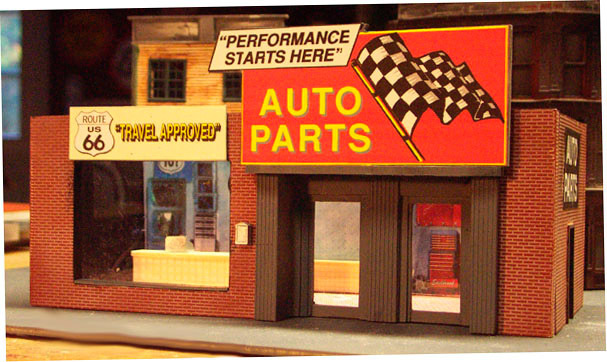 Build it as a garage, an Auto Supply store, a Western Auto store or a garage!